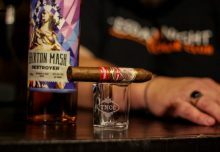 In this episode of Drew Estate Pairings, we paired the Spring House Big Gruesome & Satan’s Bake Sale with our Drew Estate Undercrown. The Big Gruesome is a Peanut Butter Imperial Stout, while the Satan’s Bake Sale is a Mint Imperial Stout. They were both extremely unique beers, but they paired well with the earthy, dark cocoa flavors of the Undercrown. This stout is smooth, dark, full-bodied, and satisfyingly rich. This brew is aged on fresh peppermint leaves and dark Wilbur Chocolate, giving this stout a powerful aroma and pronounced mint chocolate chip flavor. Creamy, malty, and full-bodied, the Big Gruesome Stout is scary good. The intense, roasty flavor comes from two types of chocolate malt and raw cocoa nibs. The stout is then aged on whole vanilla beans and more raw cocoa nibs to enhance the chocolate flavors. Rich peanut butter is introduced throughout the entire brewing process to make this stout even more Gruesome. 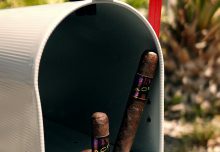 In early 2009 we asked our torcedores to smoke less Liga Privada cigars because they were leaving too few to be exported. This request was met with the disappointment you would expect, but rather than being disgruntled they responded by blending their own signature liga. Incorporating many of the same rare tobaccos, but of different vintages and primings, the cigar they created was no mere replacement. 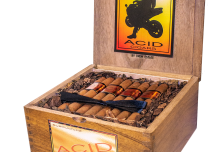 Rather it is an exceptional smoking experience of uncompromising quality and flavor that deserves to be smoked by all. It is always the master makers who are heralded, but the reality is that great cigars are the product of many talented people, most of whom toil in factories with no publicity ever. They are the uncelebrated heroes who make all of our lives more pleasurable with the cigars they craft. And therefore, it is with great pleasure that we are now sharing their factory floor creation with you as Undercrown, borne of our worker’s ingenuity, resourcefulness and passion for a great cigar. Joya de Nicaragua’s TAA Exclusive Antaño Gran Reserva Presidente is shipping now!